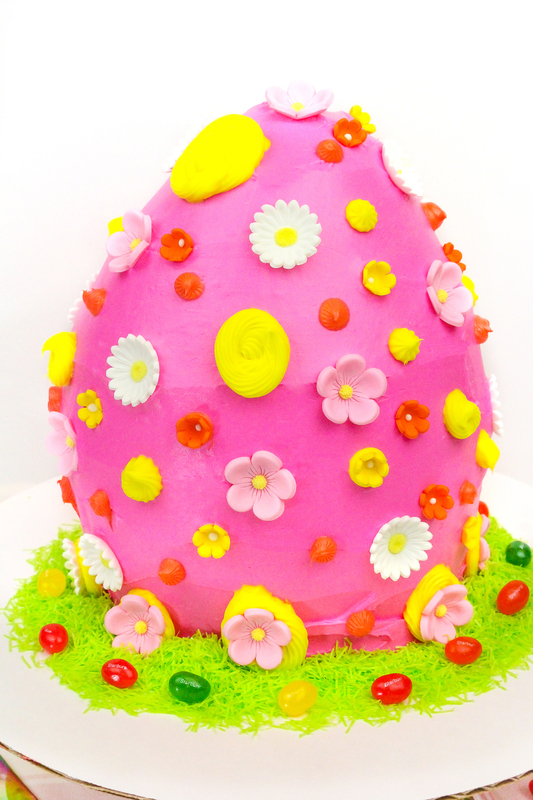 Easter is around the corner and I’m jumping right into full Easter hostess-with-the-mostess mode! 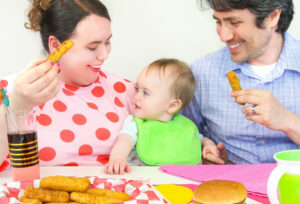 I always host a dinner party for friends and family on Easter. 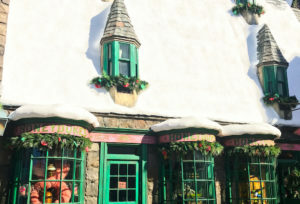 I’ve already starting decorating and planning our menu. 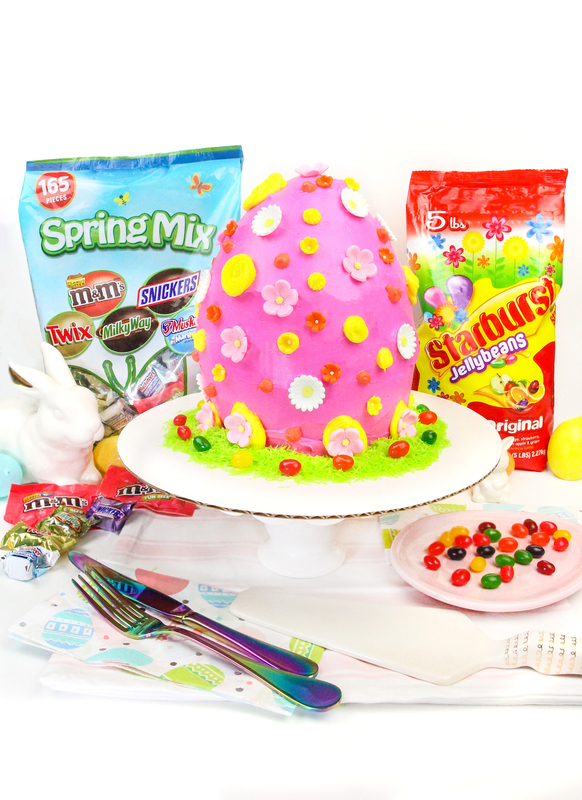 This year I’m making giant yummy Easter Egg Surprise Cake for dessert with the secret ingredient – STARBURST® Original Jellybeans! 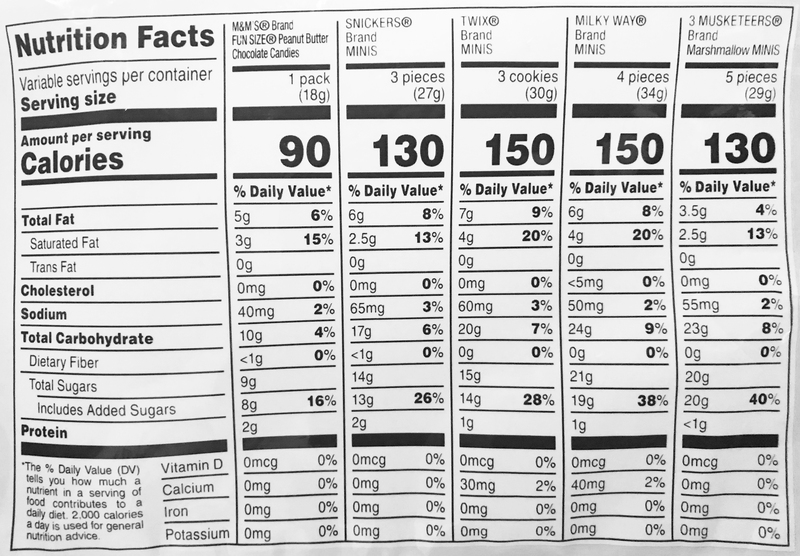 I got all the ingredients and treats for the cake at Sam’s Club! Sam’s Club is my Easter headquarters this year! They have everything I need to bake with for Easter with great pricing and convenient online and in-store shopping. 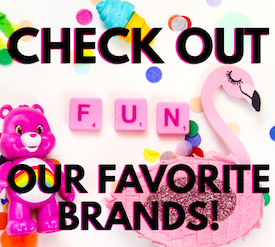 You can even shop online and pick up in store! 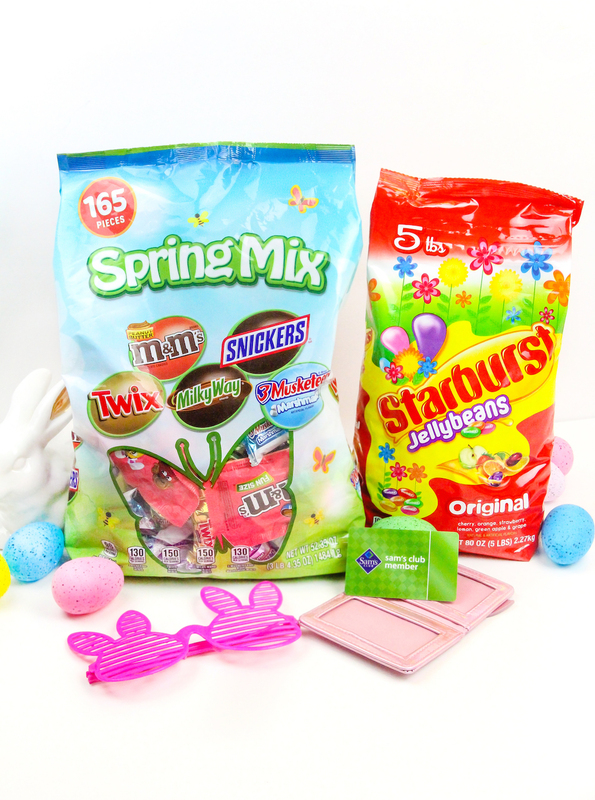 I needed a few Mars Wrigley Confectionery candies for my Easter baking this year and Sam’s Club provides a great value, with members-only prices on all your Mars Wrigley Confectionery candies! At Sam’s Club, I got two amazing bags of candies for Easter this year. 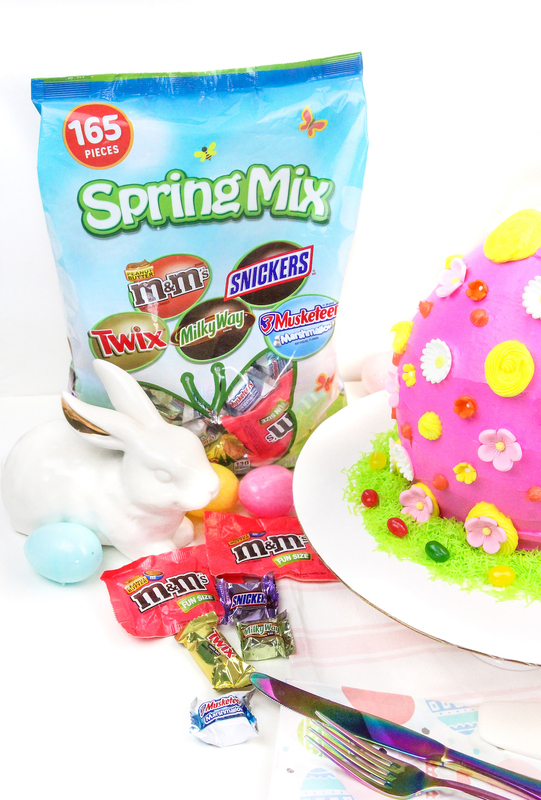 I got the Mars Spring Minis Mix to make little mini Easter Basket party favors for my guests to take home. 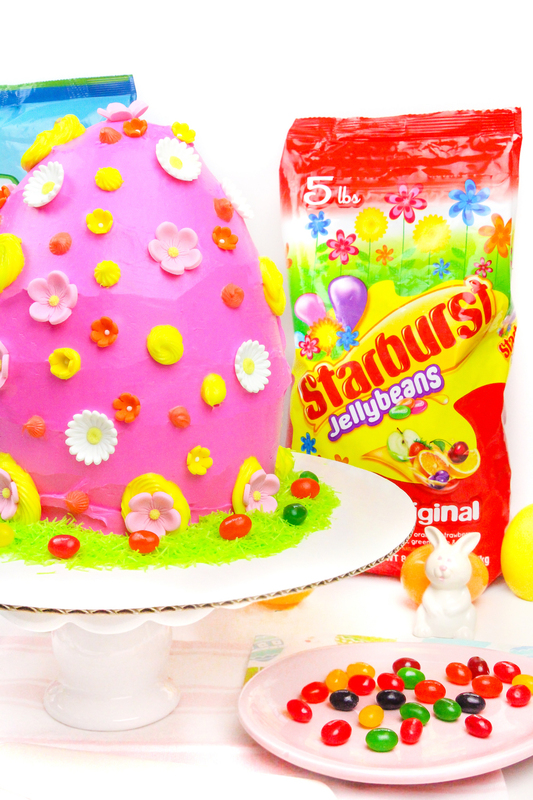 I also got the STARBURST® Original Jellybeans to make the Easter egg surprise cake with. 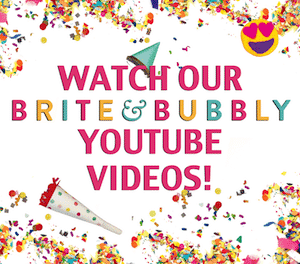 The Mars Spring Minis Mix is perfect for making party favors with. This Sam’s Club pack comes with 165 pieces of everyone’s favorite chocolates decked in pastel color packaging. 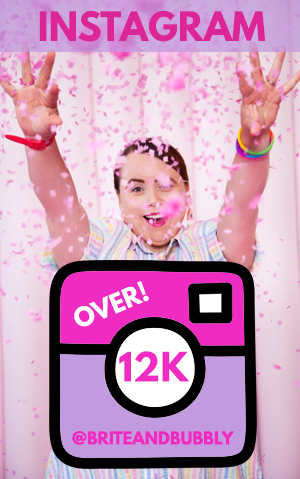 It’s a great value this is for Easter basket making! 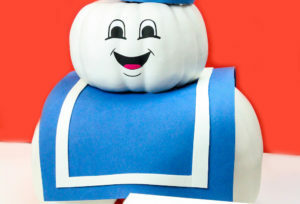 These are also great to fill the candy bowl or eggs. 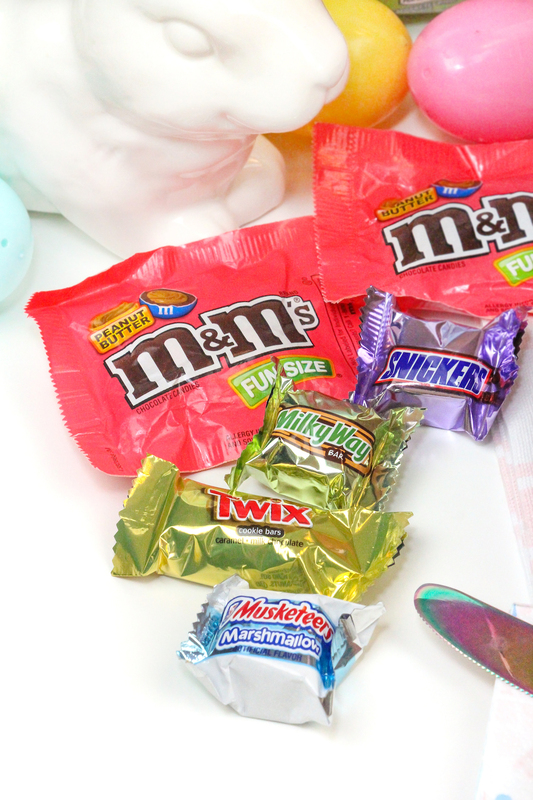 The candies are the perfect size for placing inside Easter eggs. 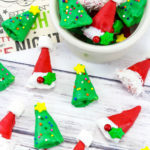 Festive colored wrappers make this great for candy bowls and baskets. 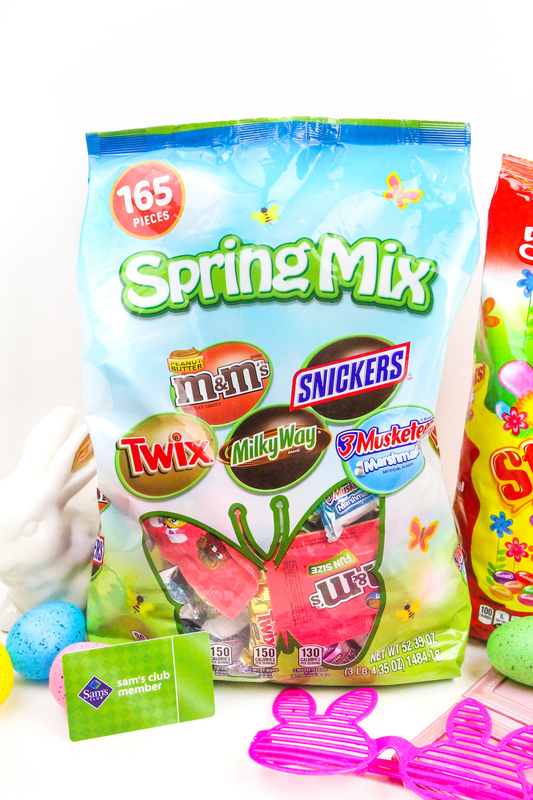 Each bag features a mix of your favorites individually-wrapped SNICKERS®, M&M’S®, TWIX®, MILKY WAY® and 3 MUSKETEERS®. 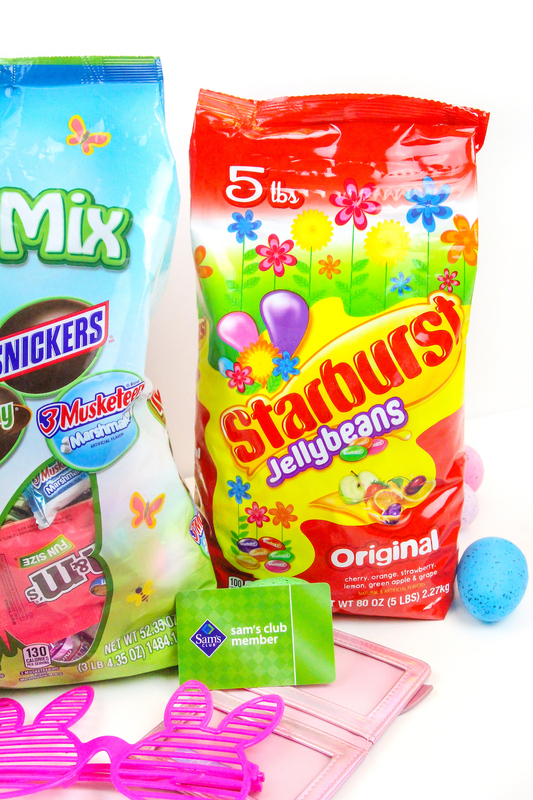 The gift of candy is sure to sprout smiles on the faces of my friends and family when they get their mini Easter baskets this year. 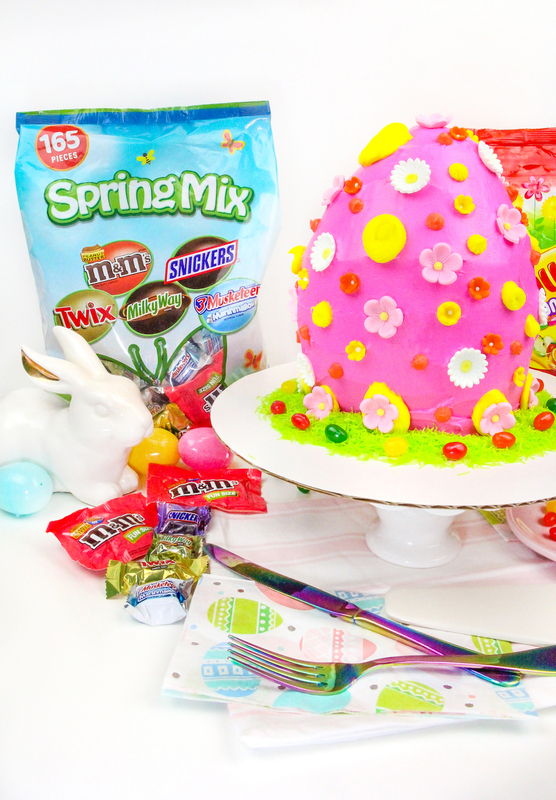 The STARBURST® Original Jellybeans are perfect for my surprise cake. They come in original flavors: Cherry, Orange, Strawberry, Lemon, Green Apple and Grape! 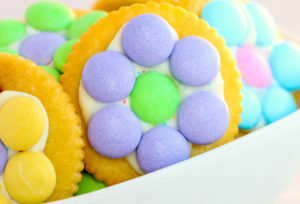 The Sam’s Club packs are a great value for Easter decorating and baking! 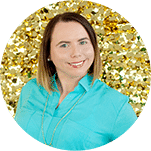 They are not only great for baking, you can fill your Easter eggs and baskets, create colorful crafts, and celebrate the season with the ones you love. 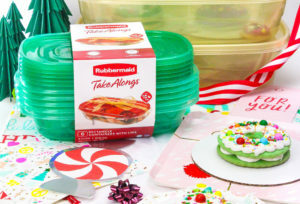 I can go on and on about how I love these candies and Sam’s Club, but I’ll get to how to make this fun cake! 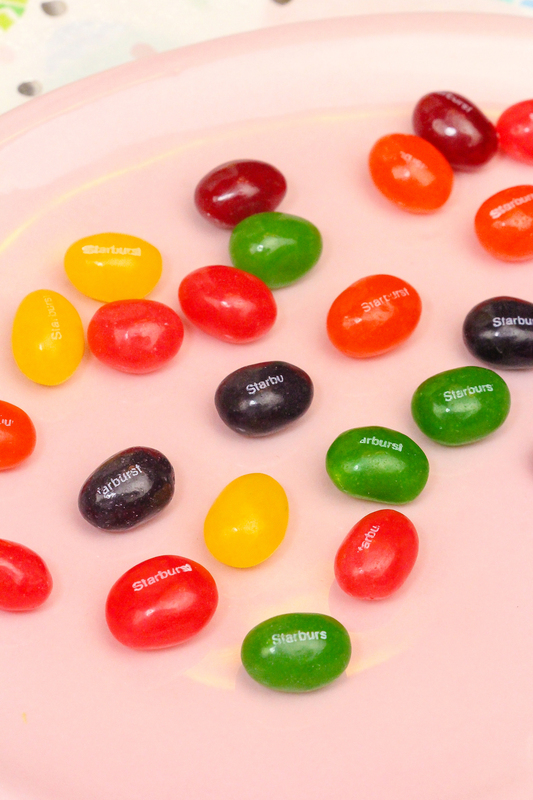 First you take out your 2 cups of STARBURST® Original Jellybeans. Next you pre-heat your oven to 350 degrees and spray your egg shape pans with baking spray and line them with parchment paper. You’ll have to cut down your parchment paper to fit in your pan. You then sift and whisk together your flour, baking powder, and salt in a mixing bowl. Let it sit together in the bowl as you place your butter and sugar into a stand mixer bowl with the paddle attachment. Mix it together until smooth. Slice open your vanilla bean and drop the insides into the batter and let it mix. Drop in 2 of the four eggs and let them mix in completely before you drop in the other 2 eggs. You then mix in the flour mixture, sour cream and milk. Add the flour mixture slowly as the batter blends in your mixer. Mix your batter until completely smooth! 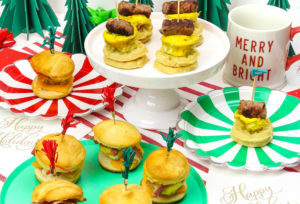 Pour into your egg shaped baking pans and bake for an hour minimum or until your tooth pick comes out clean. 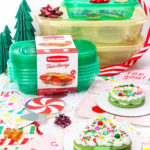 Let your cakes cool in your fridge over night and then use your cookie cutter to cut out a circle in the lower half of each side of your egg cake. Use a knife to cut out more of the cake so that each half looks almost like a pitted avocado. 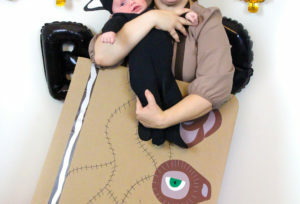 Make sure to not cut too deep as you need to hold your candy inside. Line the hole with some frosting and then put each half in the freezer for the frosting to harden. 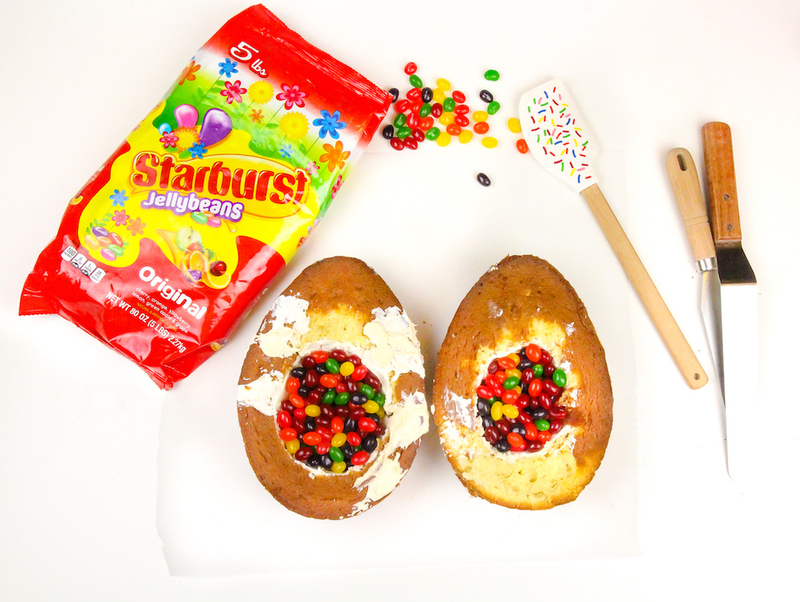 Once it’s hardened fill the holes with your STARBURST® Original Jellybeans! Melt your white chocolate baking melts in the microwave and place dots of it along the edges of your cake halves and then place both halves together. 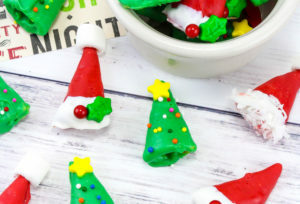 Cover any open edges with frosting and cut off a piece of the bottom. This will help the cake stand. Place some chocolate baking melt on the cake board and place your cake on top of it. Frost your cake with plain white frosting to get all the crumbs. Place the cake in the freezer so the frosting hardens. 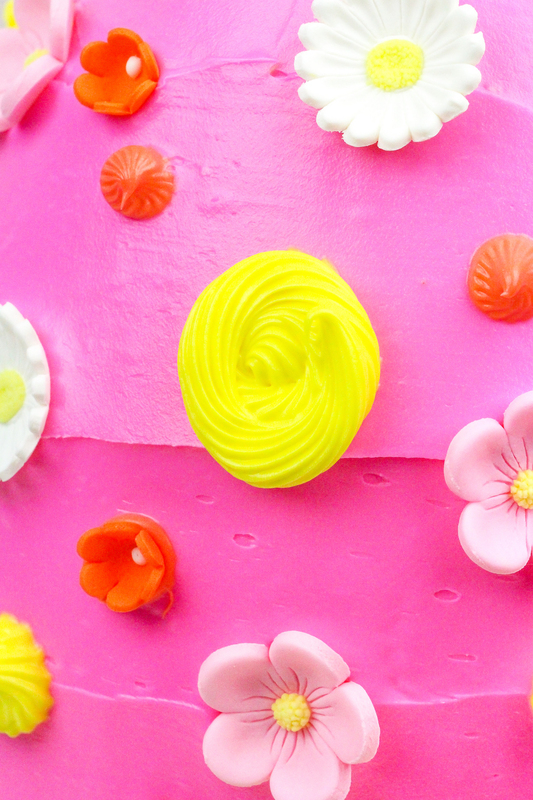 Mix your whipped white frosting in three separate bowls with the pink, yellow, and orange food coloring. 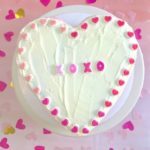 Once your cake is completely cold frost your cake with the pink frosting. Put your yellow and orange frosting into piping bags with your piping tips and pipe on circle shapes and swirls. 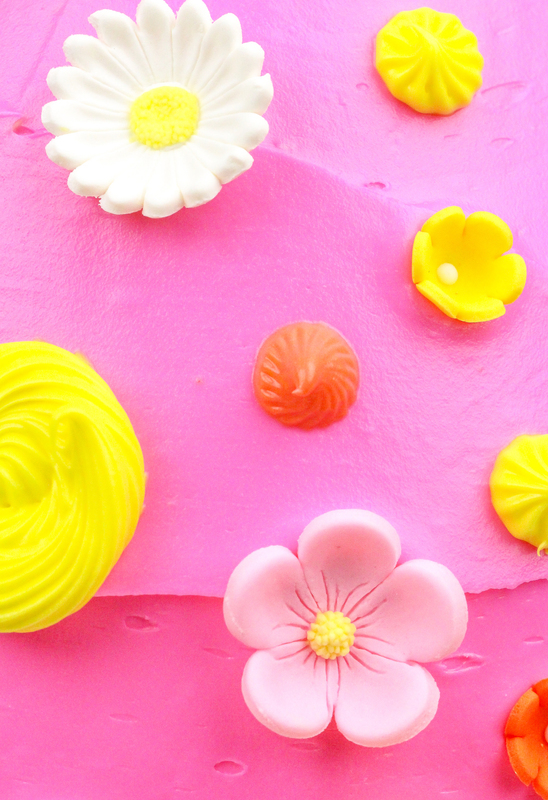 Place your icing flower decorations around the cake as well. That’s all you have to do to make this cake! 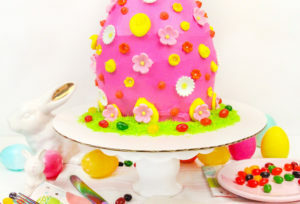 For added decoration, you can dye some coconut flakes green and make some edible grass and put some of the Jellybeans on the grass too. 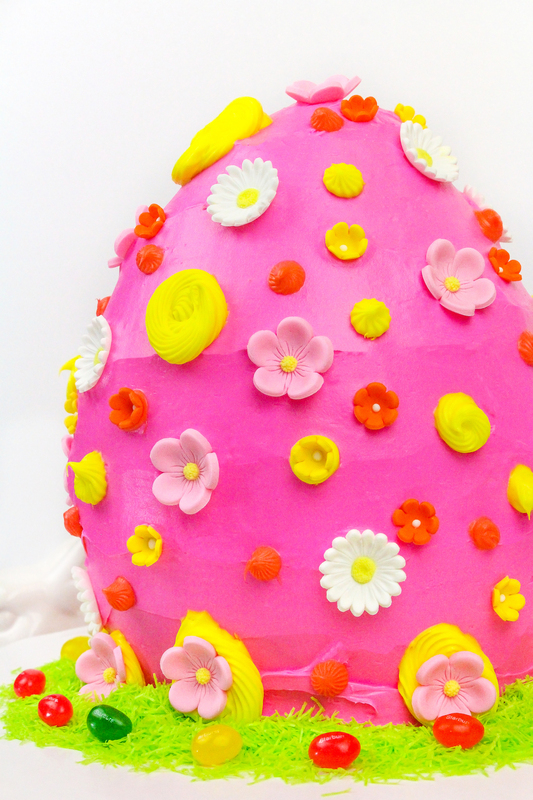 It will look just like you see in these pics and be a real centerpiece for your Easter tables. Who wouldn’t love seeing this on a table for Easter? I know I would! I can’t wait for my guests to see it and taste it! It goes perfectly with the candy treats I got at Sam’s Club. I can’t wait to make the favors to go with this amazing cake! 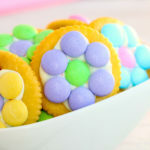 These tasty treats are surely going to be a great mix for my mini Easter basket favors. 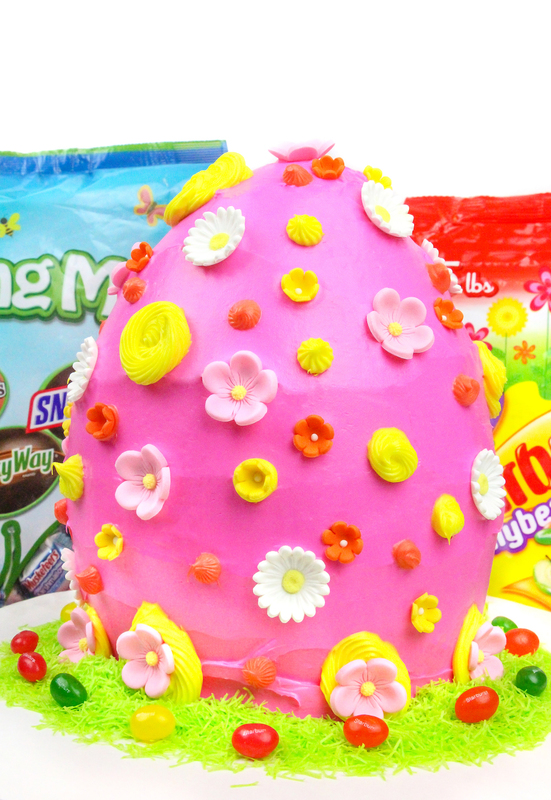 It’s going to be one SWEET Easter this year! Pun intended! 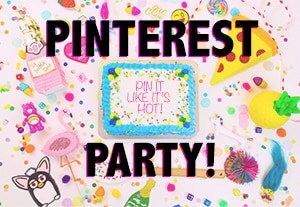 I know you’re waiting for the surprise and I wasn’t going to end this post with out cutting the cake! 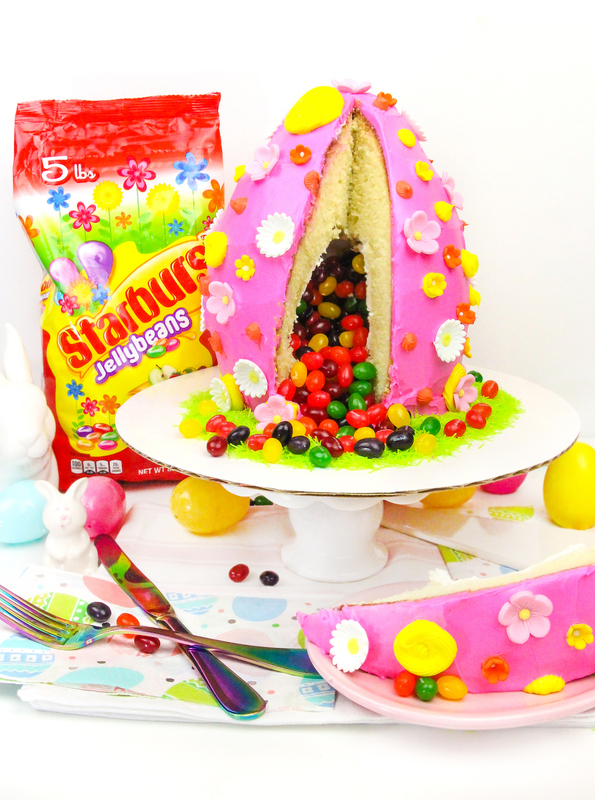 When you slice open the cake all the fun STARBURST® Original Jellybeans pour out! 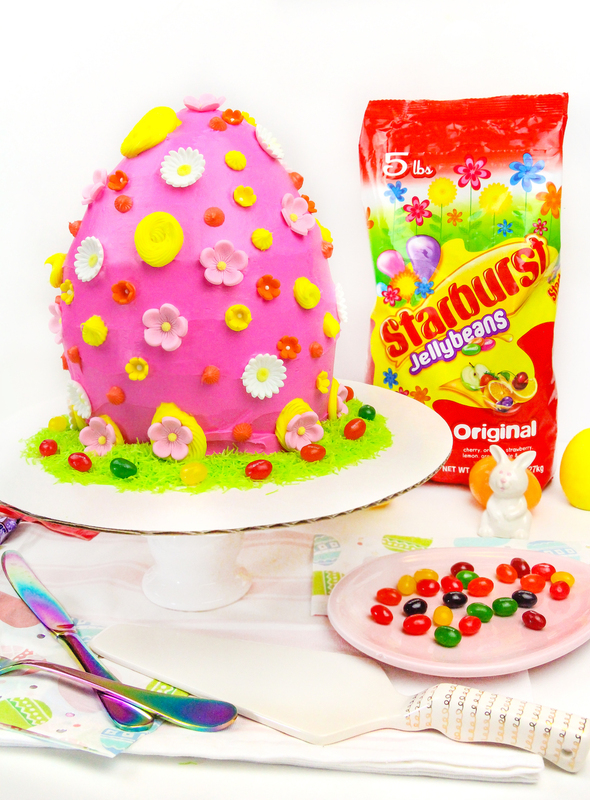 Make sure you use a cake board at the bottom that is slightly larger than your cake so it can catch all the STARBURST® Original Jellybeans! 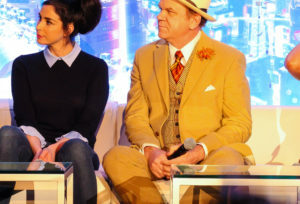 How fun is that folks? 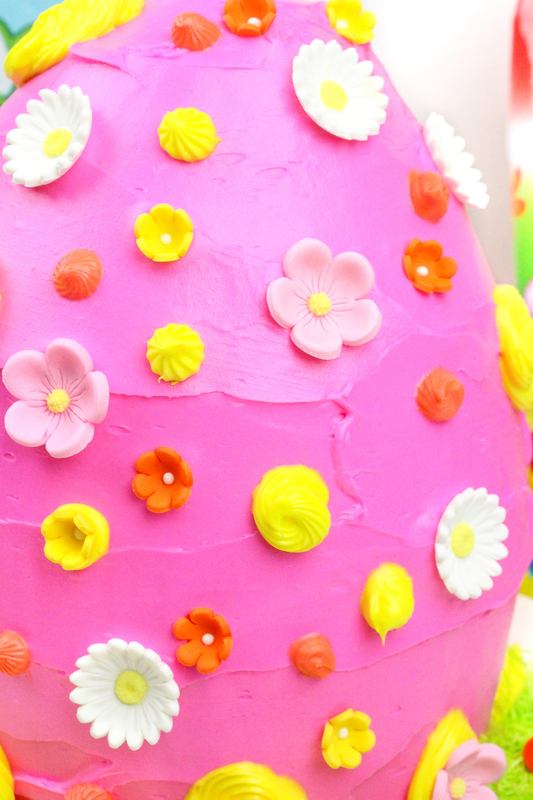 We’re going to have so much fun carving this cake for Easter! I hope you enjoy making this cake just as much as I have enjoyed sharing it with you. Get to Sam’s Club and get to planning your own Easter festivities now! 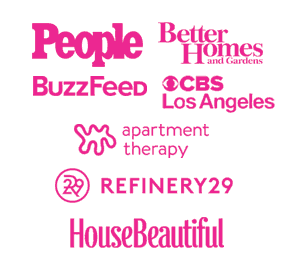 Thanks so much for supporting the brands like this one that keep this Brite & Bubbly party going! Wow and yum. This looks like something right out of Willy Wonka’s castle. I want to dive right in and eat this now. I cannot believe how delish! 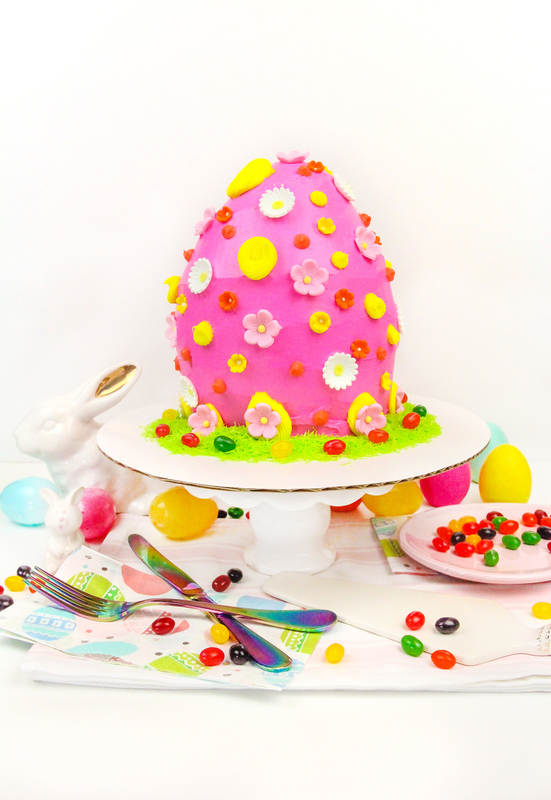 Now this is an impressive Easter cake! Making it will be fun and seeing everyone’s reaction will be great! 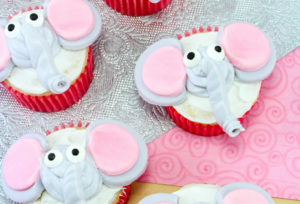 This is the cutest cake ever!! 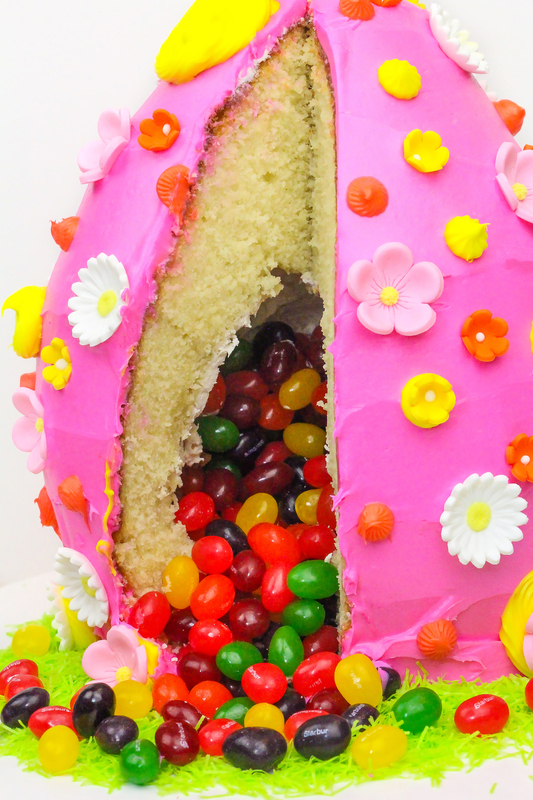 I would love to slice into a cake with yummy Jelly Beans!! 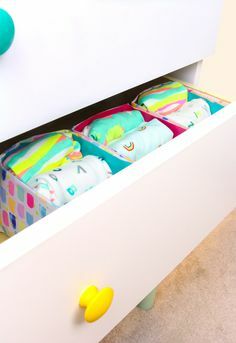 What a darling idea for Easter! 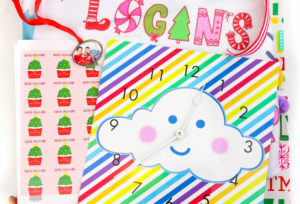 I love all the spring crafts this time of year. 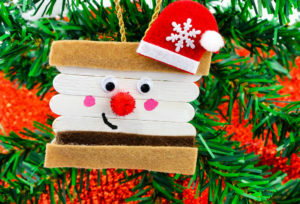 Oh my heck – what a fun idea!! 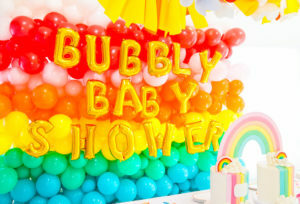 My daughter would flip for something like this – it’s so cute on it’s own, but the hidden surprise makes it WAY more fun!! 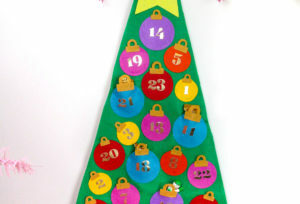 What a fun idea. 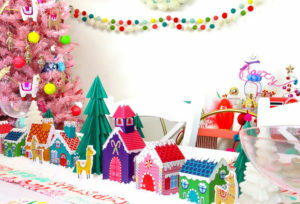 My kids would love this and would be super excited to help make it and surprise their cousins. This is a serious cake! We just figured out that we are going to my in-laws for Easter. I am wondering if I can convince her to let me bring a cake. What an awesome idea! 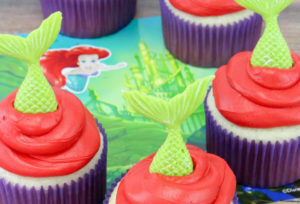 I know that my kid will go crazy over this cake! 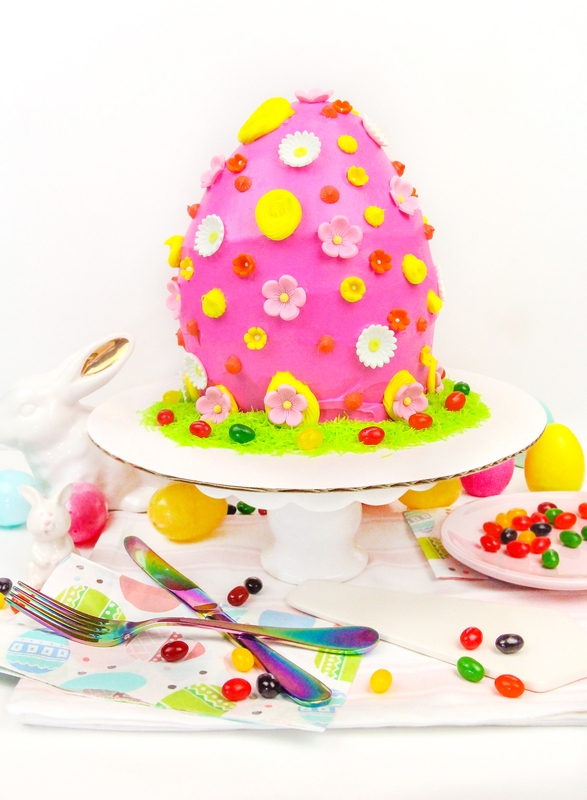 This is the cutest Easter egg cake I’ve ever seen! 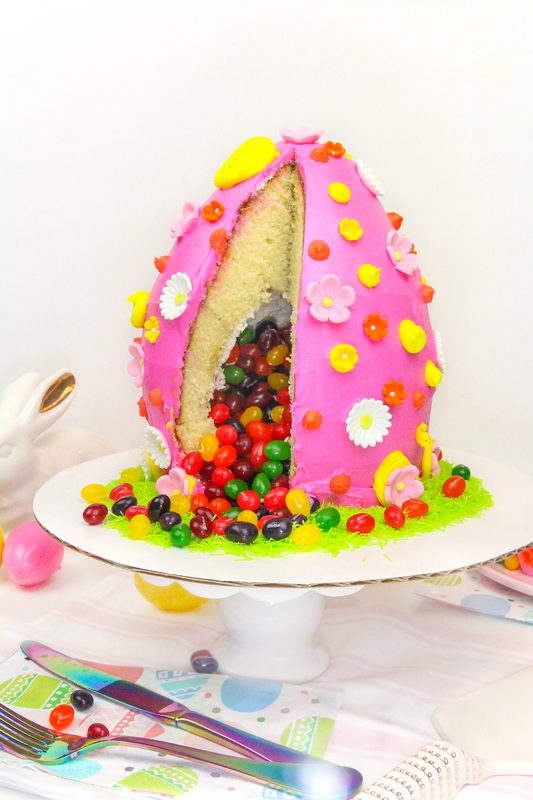 What a cute idea for an Easter cake. 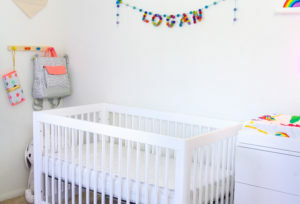 The kids are going to love it.